An effective process for brainstorming sessions that generate innovative ideas. Effectively generate ideas while avoiding the common pitfalls of regular brainstorming sessions. Be concise and timebox all exercises to ideate faster. The brain sprint aligns a group of creatives and avoids unproductive discussions. When should this session be delivered? People often struggle with brainstorming meetings. In fact, the concept of ‘brainstorming session’ is more and more associated with an ineffectiveness, where interesting and innovative ideas get quickly stomped on groupthink and loud voices. This is the problem that the one-hour “Brain Sprint” process to addresses. It takes a good process and state-of-the-art techniques to allow good ideas to develop. Brain Sprint isn’t just a substitute for the brainstorming process. It is rooted in the Design Sprint framework, which offers a highly effective way to innovate products and services. 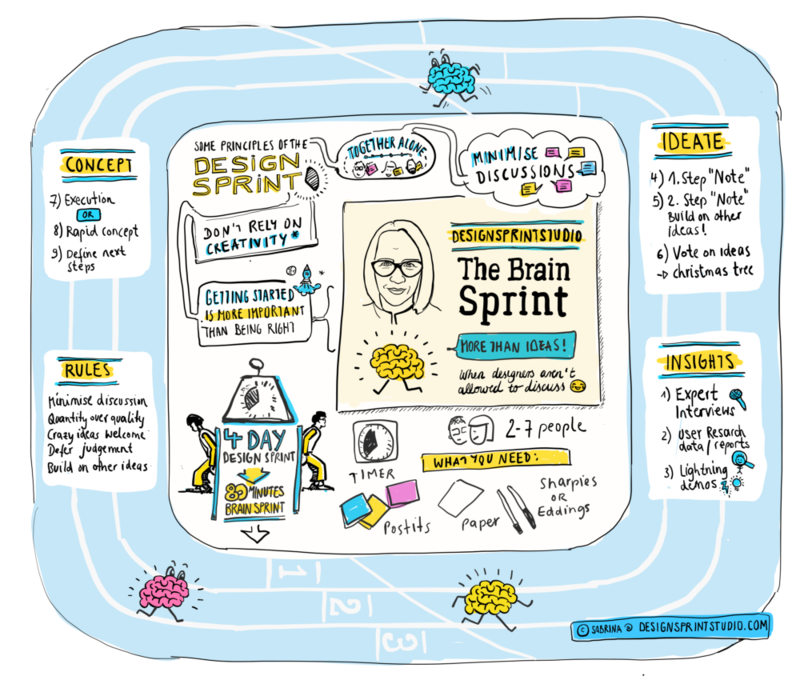 The approach of the Design Sprint to provide collective inspiration and an iterative way to build and select ideas makes it an ideal starting ground for effective ideation sessions. The Brain Sprint is one approach to ideate. And it’s a hot one! But you can also variate it and adapt it for your own challenges. If you have a more complex project you can divide it and make several Brain Sprints. The process is developed especially for idea generating with a clear briefing. If you have done once, you can repeat the Brain Sprint also in a shortened version, when everybody on the team is already deep in the topic. Then you can skip the first two or three exercises. Facilitating this session does not require any special certification, however, it is highly useful if you have a good understanding of design processes and the Design Sprint framework. Over the last 25 years, I’m running my design agency as a strategic designer and I have developed multiple design projects in various areas such as fashion, automotive, mobility, energy and many more. When I stumbled upon the design sprint it was like pieces of puzzles felt to their right space and closed the gap between creative design and viable business solutions for our clients. Enthusiastic about Design Sprints I want to make more people learn the power of the process. 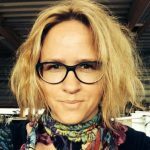 I’m developing the German community via Facebook and the regional one around Stuttgart with lots of meetups to establish the design sprint as a common way of working! That’s why there was only a small step to the Brain Sprint which was an organically developed process in our design agency to level up our creative output and to reduce the time for ideation. Asenauer’s Designsprintstudio is a Strategic Design & Innovation Studio based near Stuttgart, Germany. We have a strong focus on the Design Sprint, and work with large companies to enable them to develop their ideas and products in a better and faster way. The Design Sprint – Jake Knapp developed at Google Ventures – is a workshop format for solving big problems and testing ideas within a week. In the end, you will have a high fidelity prototype which will be intensely tested by real users of your target group. If you either want to join us for a Design Sprint, chat with experts or have questions, feel free to contact me.